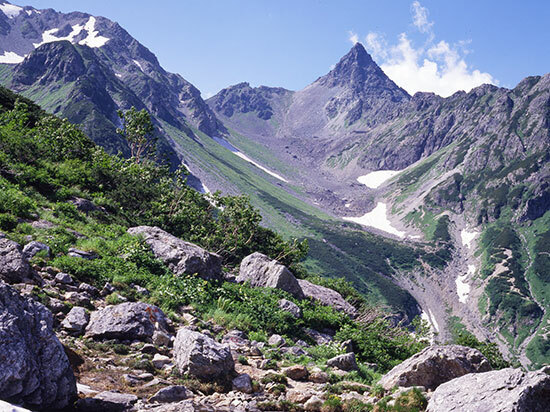 Mt.Yarigatake at 3,180m high, is the 5th tallest, and one of the most popular mountains in Japan. 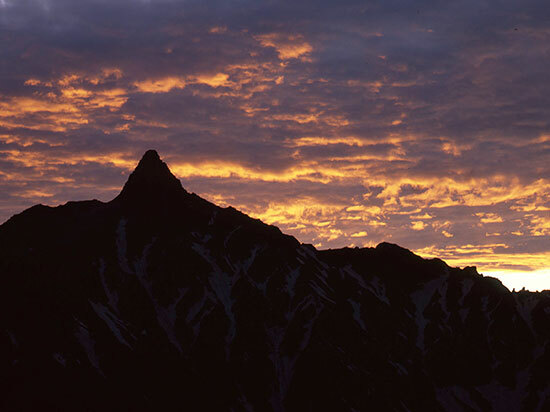 It is said that it’s appearance of a spear striking the sky gave it the name Mt.Yarigatake, it is also called the Matterhorn of Japan. 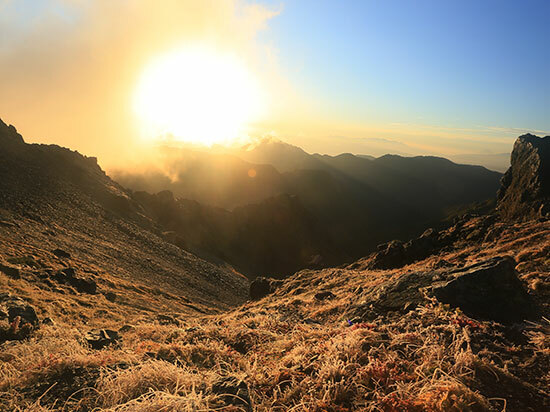 Buddhist priest Banryu was the first climber was in 1828 and English mining engineer William Gowland was the first non-Japanese to climb the mountain in 1878. 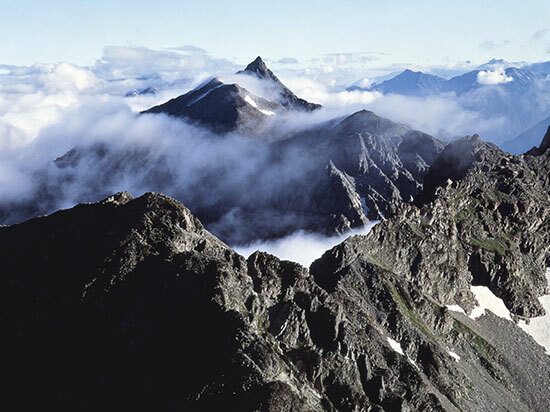 He named Mt.Yarigatake and this mountain range of Japan, the "Japan Alps" after the European Alps, and this name was later widely known by Walter Weston, a British missionary and climber. 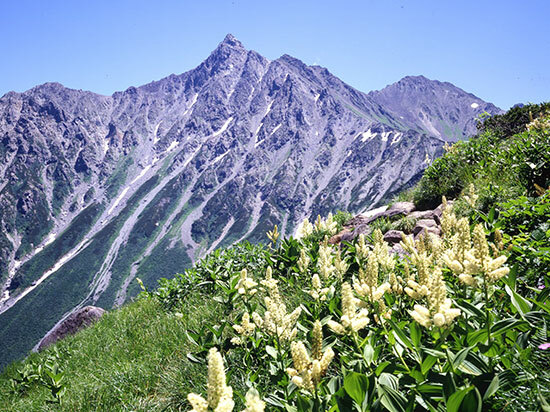 Mt.Yarigatake is located in the center of the Northern Alps, the highest and steep mountain range in the Japan Alps, and is said to be the leader of the Northern Alps. 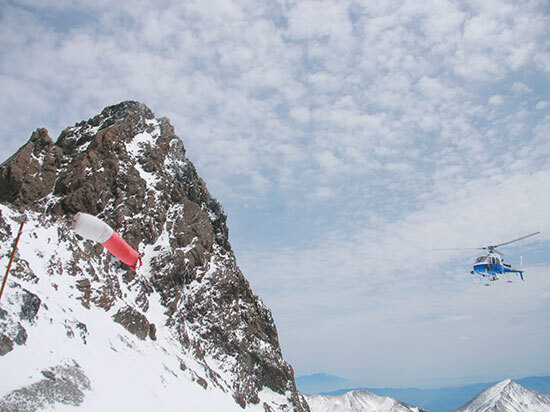 Be sure to observe the following rules when climbing the Northern Alps of Japan. 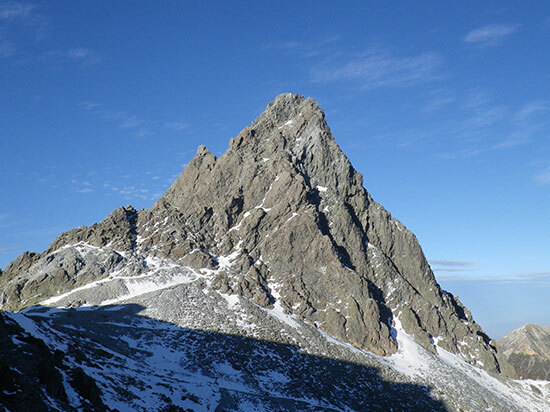 There are some climbers who attempt the climb in the snow without crampons or ice axes, or those who climb without rain-proof gear. This is very dangerous. 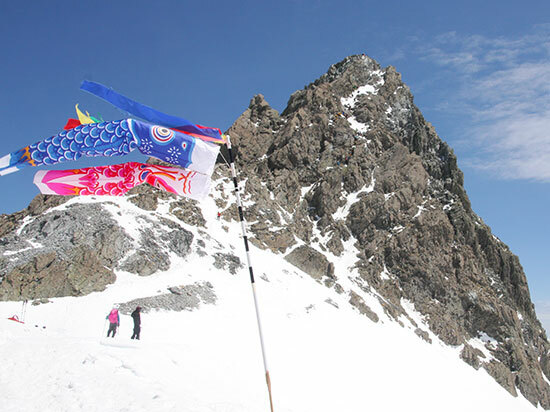 Please prepare equipment suitable for the seasons of Japan in order to enjoy your climb. 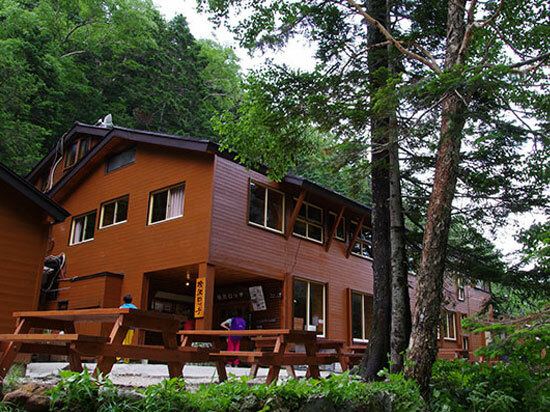 There are very few trash cans in Japanese mountain huts. 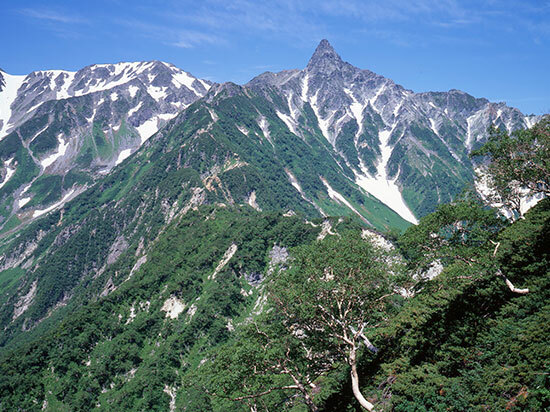 When climbing in Japan it is common understanding to take home everything you bring to the mountain, including garbage, so please do not dispose of garbage in the huts or climbing trails. 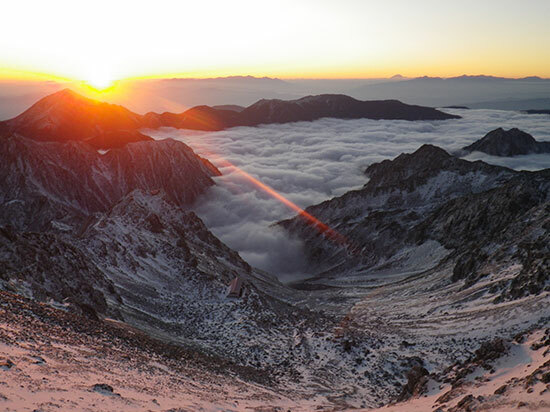 This is also a common understanding within Japanese mountain climbing. 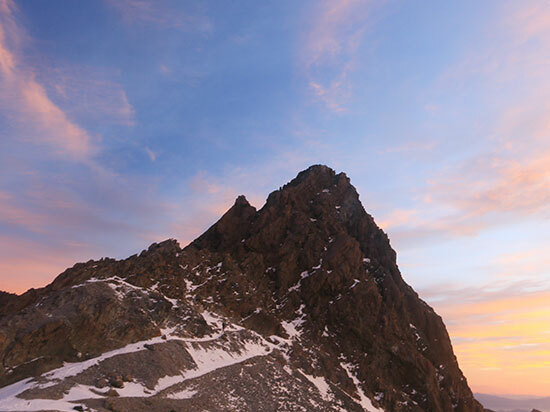 Acting without the plan to arrive at the hut before 3pm is very dangerous as you may have an accident or it might become dark before you arrive. 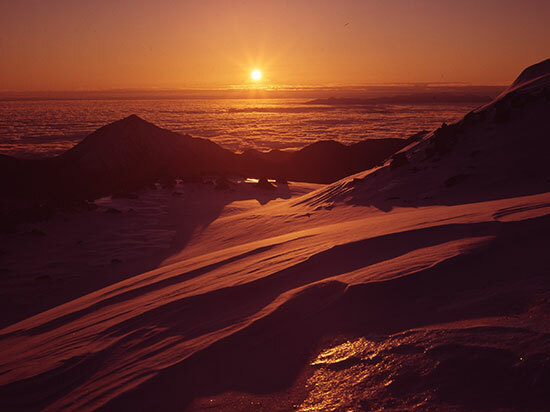 If arrive at the hut after 5pm, it is important to contact the hut directly. 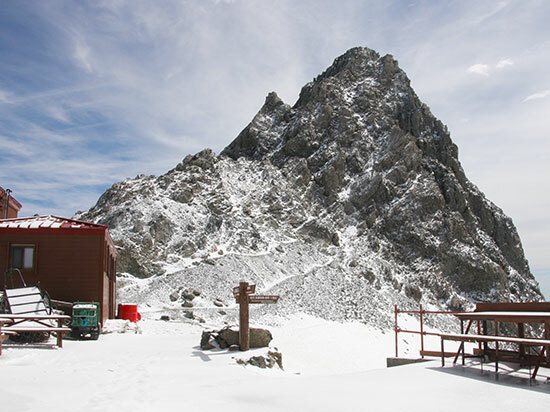 The mountain huts open for business in April. 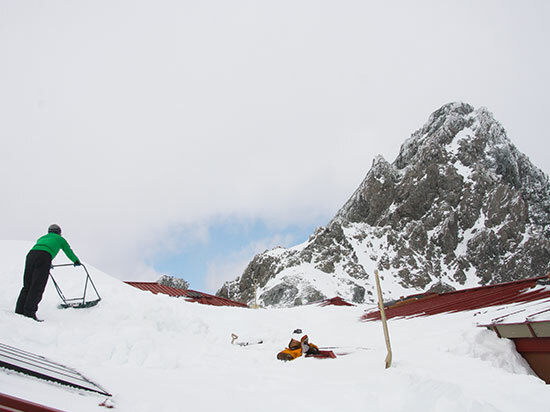 The staff start digging out the snow around the huts and prepare to welcome customers. 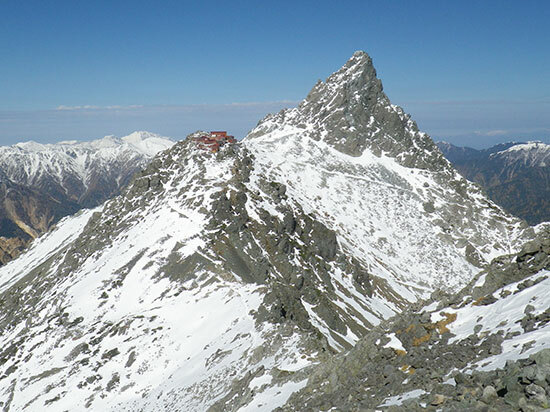 The mountain is still covered with snow and preparation for snow mountain climbing is necessary. 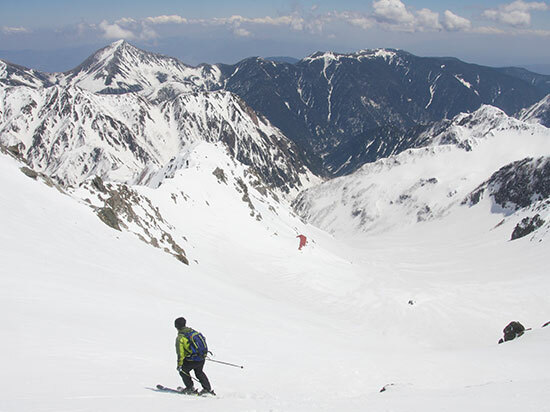 Dynamic skiing of 3,000m altitude to a height difference of 1,500m can be enjoyed at Mt.Yarigatake. 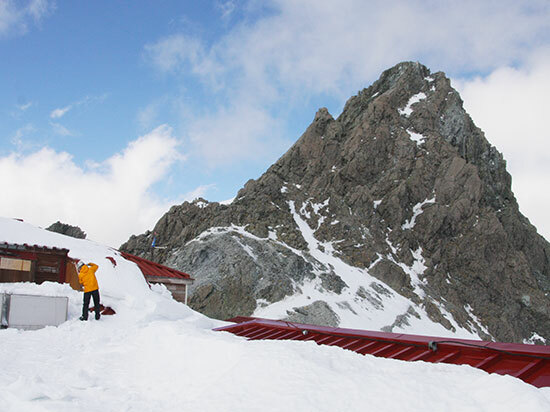 In snowy years it is possible to ski until around June, and the staff also ski during their breaks. 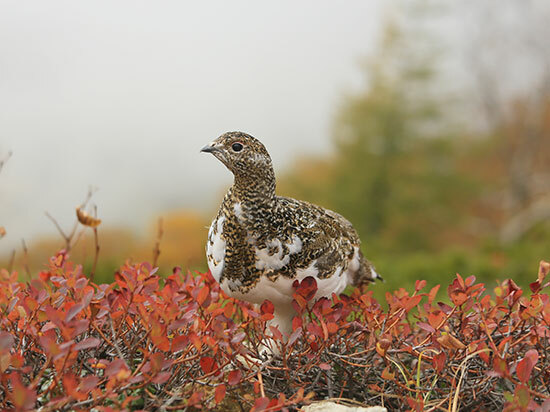 The snow thawing process begins and it is possible to start to see grouse and other animals. 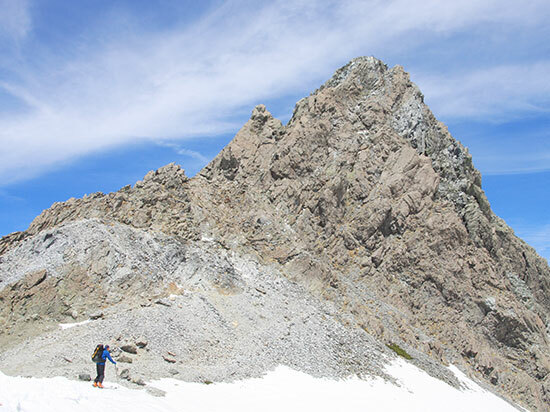 Keep in mind there are many years where snow still remains in June and you may still be walking on snowy ground. 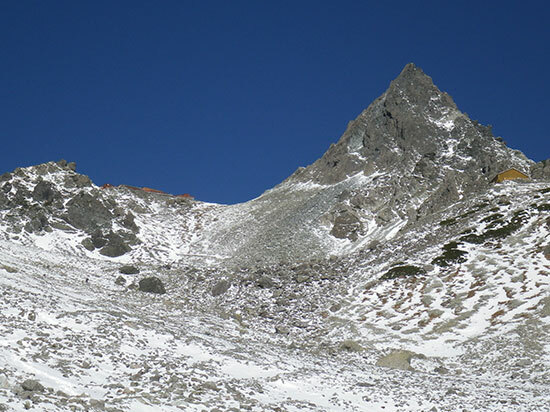 Crampons and ice axes are still necessary during this period. 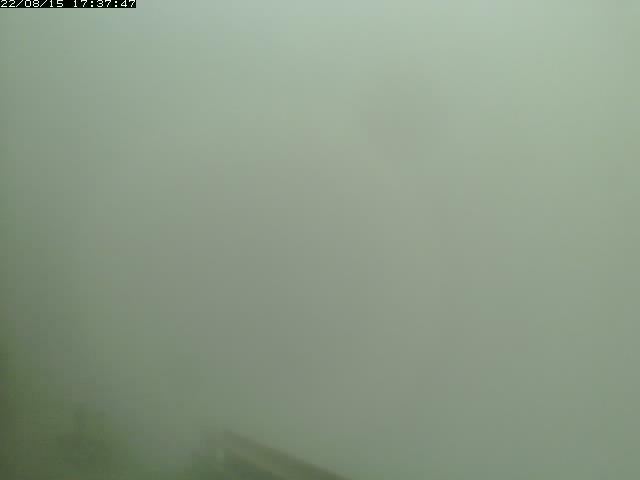 In Japan July is known as the rainy season so there are many rainy days. 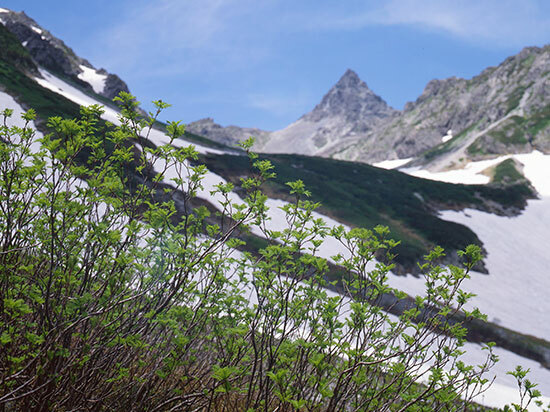 In some areas, snow still remains, however plants are still starting to grow through and the mountains become covered with rich greenery. 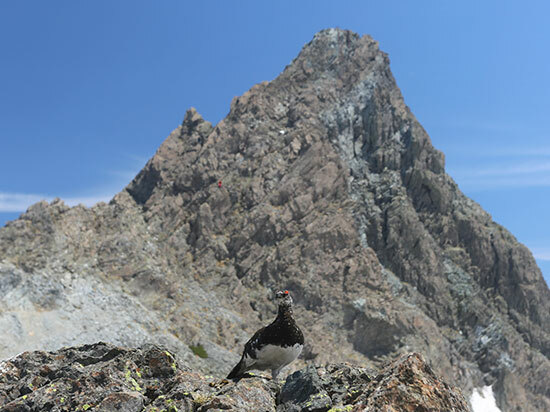 Summer mountain climbers begin to increase from the end of July. 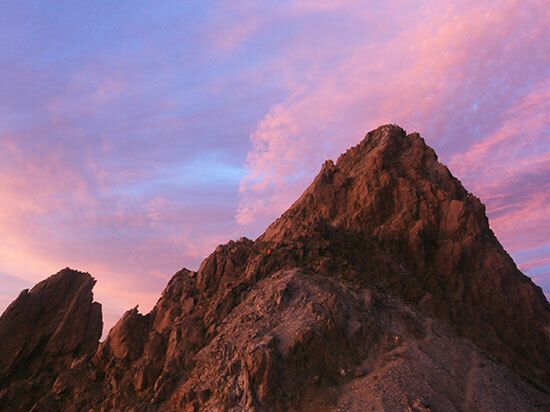 Throughout the year, August is the month that records the most climbers. 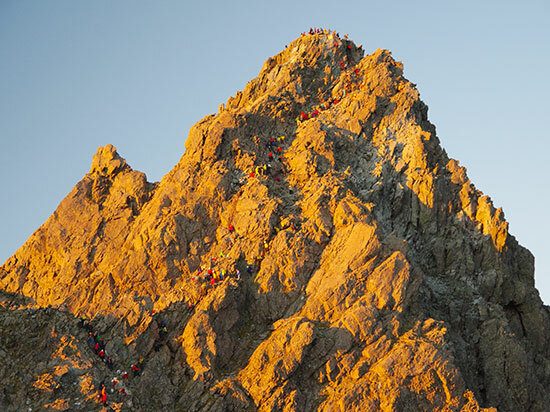 There are sometimes queues on the mountain paths towards to summit on weekends. 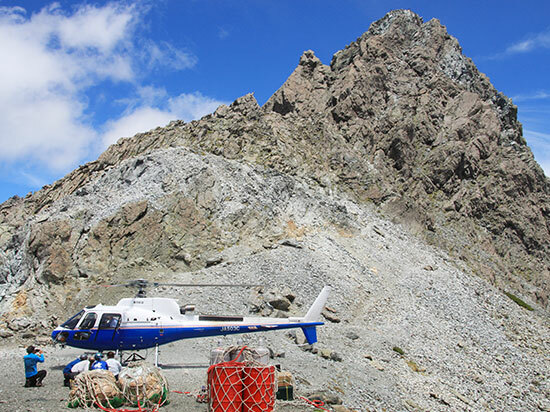 Although it is in the summer mountain season, it is worth noting that when the weather is bad, the temperature can fall reasonably low. 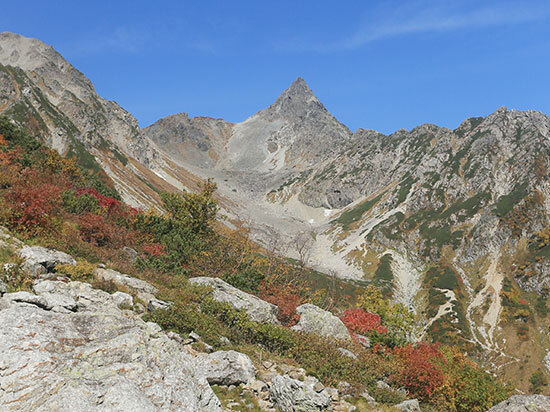 Although it varies depending on the year, the trees at low altitude begin to turn red and Mt.Yarigatake's autumnal leaves come into peak around late September. 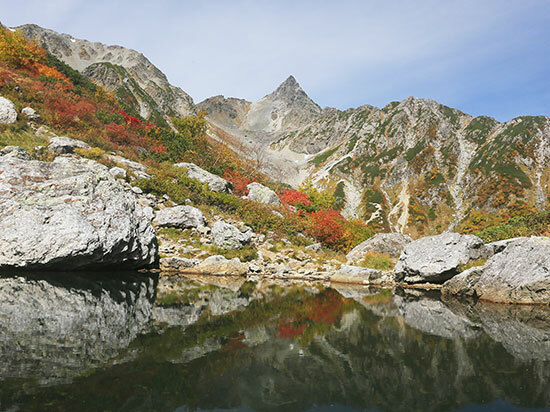 The autumn leaves of Tengu pond along with Mt. Yari reflected in the lake is well worth a visit. 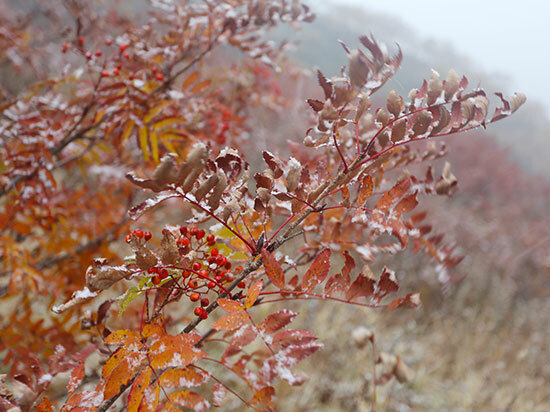 At the beginning of October some autumn leaves still remain but the temperature gradually lowers and it starts to snow. 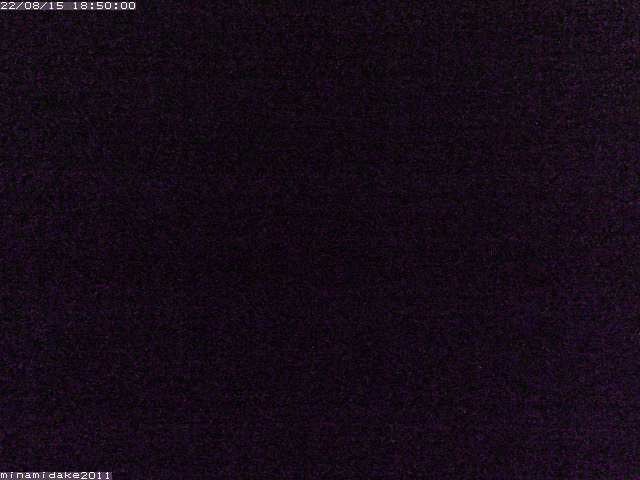 The weather is often fine it is still necessary to take measures against the cold. 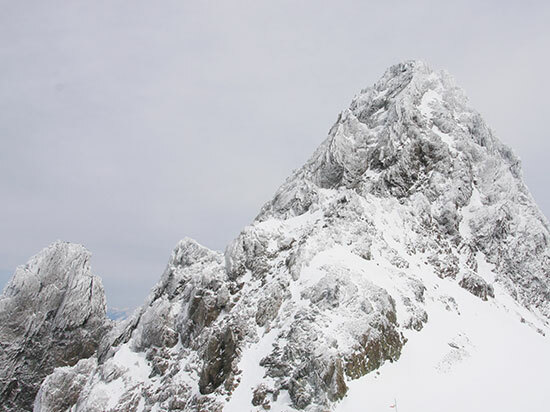 The mountain is covered with snow once again and requires snow mountain equipment to climb. 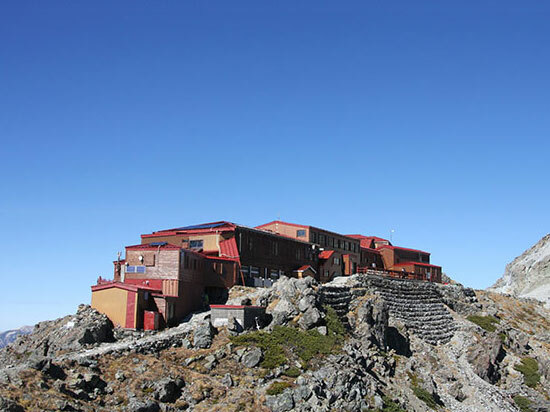 In the beginning of November the mountain huts close and the staff descend the mountain. 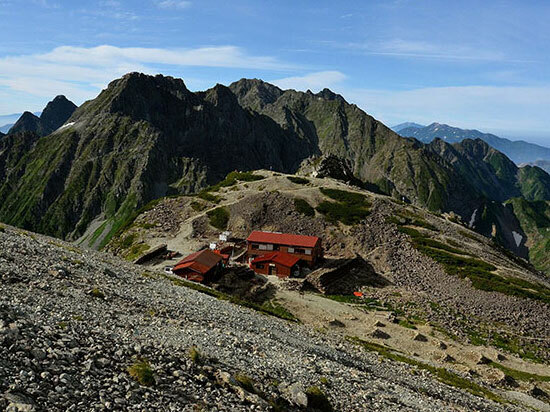 Yarigatake Sanso Hut is a large mountain hut built just under the summit of Mt.Yarigatake. 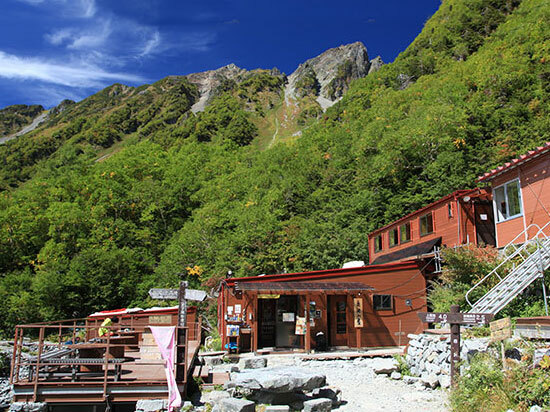 It was founded in 1926 and is one of Japan’s leading mountain huts. 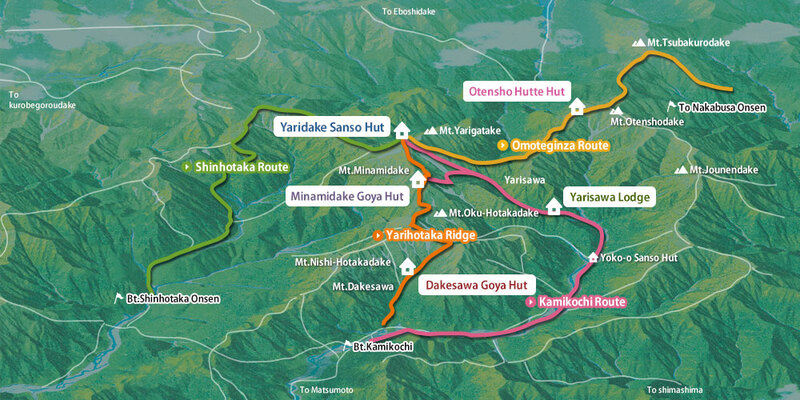 The Yarisawa Lodge is a hut located in the forest zone, at the middle point of the mountain trail between Mt.Yarigatake and Kamikochi. 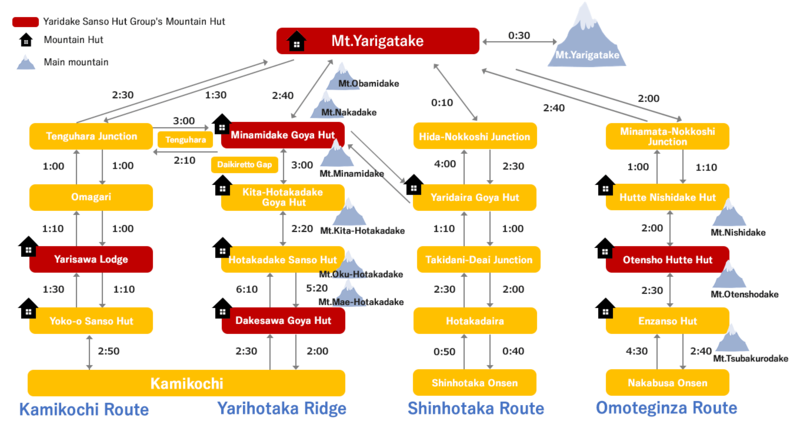 The Minamidake Goya Hut is built on a wide ridge just under Mt.Minamidake, with views of the Daikiretto Gap in front of the hut. 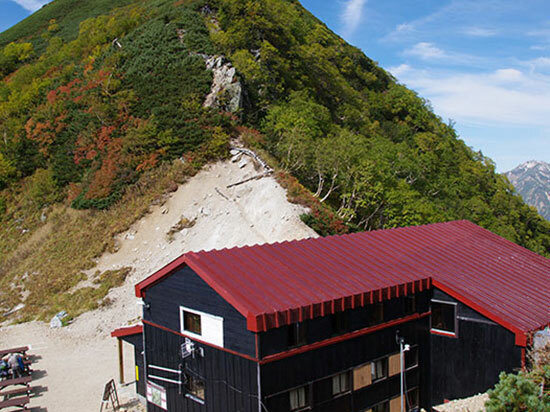 The Otensho Hutte Hut is located in the Mt.Otenshodake western saddleback and is a key point on the Omote Ginza Course. 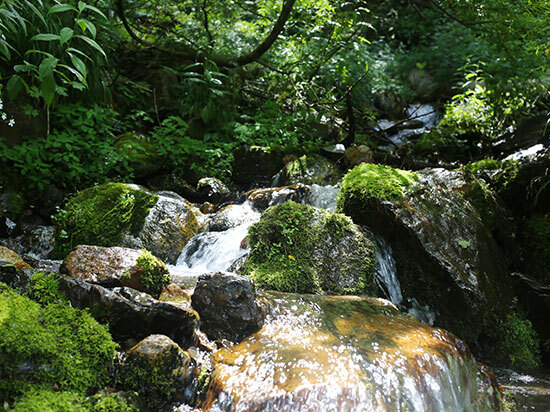 Dakesawa Goya Hut is a hut surrounded by rich greenery. 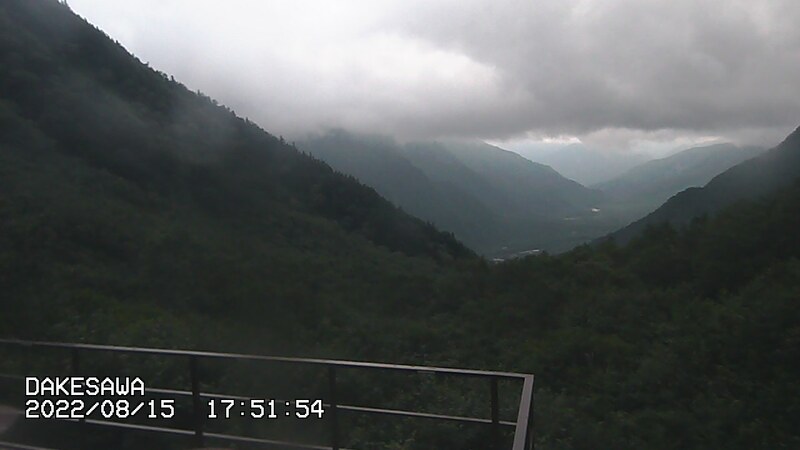 It was built in 2010 and is situated in the Dakazawa valley between Kamikochi and the Hotaka Mountain Range. 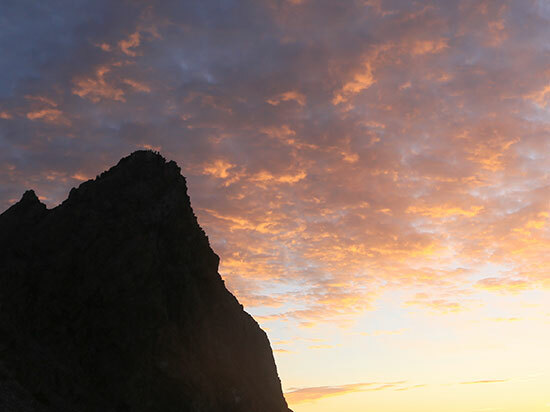 ※Separate fees will be charged for private rooms, advance reservations are not accepted. (+81) 90 2641 1911 No reservation is required for customers up to 3 people. (+81) 90 4524 9448 Reservation required (from 1 person). 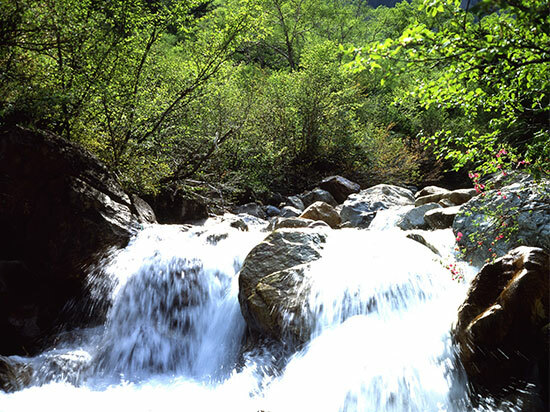 (+81) 263 35 7200 Contact information for travel agents. 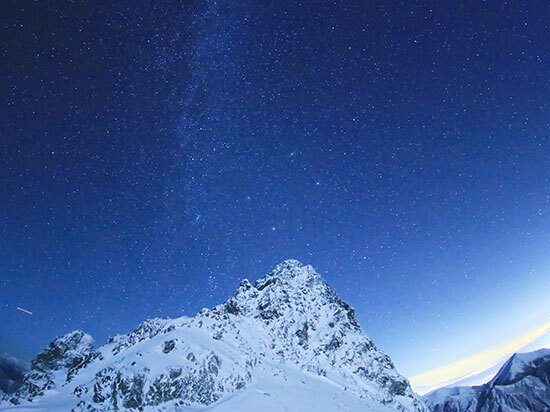 ※We do not accept reservations via e-mail or the Internet. Copyright © 槍ヶ岳山荘グループ All rights reserved.